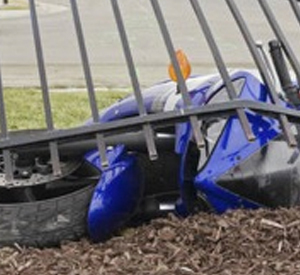 Our motorcycle accident lawyer in Boston understands the law in Massachusetts, as in other jurisdictions, unfortunately reflects a legislative distaste toward motorcyclists who are injured in motor vehicle accidents. This is most powerfully seen in the denial of reimbursement of medical expenses and lost wages to motorcyclists who are injured in motor vehicle accidents. A motorcycle driver in Massachusetts who is injured in a collision with another motorcyclist or automobile driver is not entitled to Personal Injury Protection or "PIP" benefits, as are drivers and passengers of automobiles in Massachusetts, (see our Motor Vehicle Accidents Page). Essentially, this means that a motorcycle operator, who is injured due to the negligence of another driver, is not entitled to the same coverage for medical bills and/or lost income that an automobile operator is entitled to under similar circumstances. This is especially difficult as the injuries that a motorcycle operator can sustain in an accident are likely to be much worse than if belted into, and protected by, an automobile. The legislative rationale for this difference in PIP coverage stems largely from insurance company lobbying: Bodily injuries resulting from a motorcycle accident are likely to be much more severe and hence, costly than those suffered by an occupant of an automobile. Also, the unavoidable effect is to make motorcycle use less attractive, considered desirable by some public safety officials. The likely serious nature of the injuries that a motorcycle driver sustains, make it even more important that you speak with an attorney who has litigated these types of cases. Our Boston accident attorney has skillfully represented many motorcycle operators who were injured due to the negligence of another driver. If you or someone you know has suffered injuries in a motorcycle-related accident, we urge you to contact us for a free, no obligation consultation.